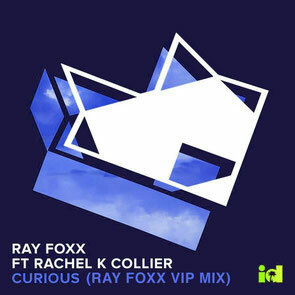 London producer Ray Foxx returns this month with a reboot of his own track ‘Curious’. Since releasing his track 'Boom Boom (Heartbeat)' with Rachel K Collier in 2013, Ray has released a steady diet of remixes and tunes. With ‘Curious’, he once again enlists the help of Ms Collier on vocal duties for a 2-step jam, and with this VIP mix he twists that into a proper four-to-the-floor workout. Foxx kicks off the mix by distorting the vocals into a robotic state before dropping in with a heavy, breakbeat-influenced drum pattern. Dirty bass synths then get to work, providing the melody that highlights the track. Sound good? Grab your copy now as it’s a FREE download on Ray’s Soundcloud page. Grab it on the link below.